We are so thrilled to announce that from now on you can also download it from Apple Store . 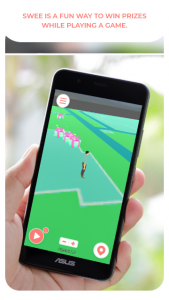 Swee (www.swee.io) is a revolutionary mobile augmented reality event tracking system, that allows clients and visitors to interact with all kinds of events, that are located on a geolocation map. SweeEvent: Attract your customers and visitors to your point of sale or to the location, you want. Every SweeEvent can have an incentive for the visitor to come and participate to it through their mobile device. Gathering precious information: With Swee, visitors to your event will automatically be registered simply by visiting your events location. While you, as the creator of the event will gather precious information and segment all the visitors in to groups managed by their interests and likes. Interaction with customers & visitors: An interaction defines how a customer can interact with SweeEvent when he is close enough to participate on it. Few examples of interactions: Augmented Reality, Loyalty Venue, Your Gamify, Auto, URL and Webhook. 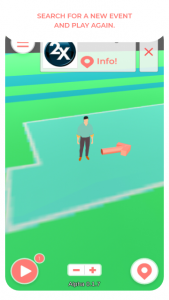 Ready to use: Once a customer or visitor has installed Swee on his mobile device, he immediately receives SweeEvent notification regarding his location and possible participations to SweeEvents. Everything can be a SweeEvent! The limit for a SweeEvent is just your imagination. It can be a loyalty program for a Store, a Location-based treasure hunt contest, a regular store contest, a restaurant happy-hour event, a concert offering free beer to its visitors or even a political gathering. The goal is to notify and engage the user to a specific location, or more specifically, to a correct proximity to the wanted location. Consumers can win prizes and awards from each event, or via final winning at the end of the event. Download Swee – Swee is available on App Store and Google Play. Find SweeEvent – Search for SweeEvents in your proximity or move around to find new ones. Get your prize – To get your prize or to participate on a SweeEvent you just have to click on the gift box. Enjoy Swee – You can now redeem your prize or discount or what is even more exciting, you can also organize your own SweeEvent. We have also created a Swee contest with 10,000 SweeEvents all over the word. 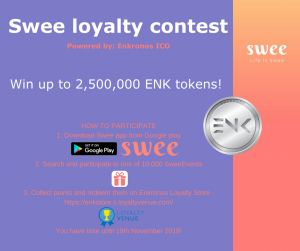 Just download Swee app, find a SweeEvent and win up to 2,500,000 ENK tokens!